nivellmedical provides the nivellipso solution, an aesthetic alternative to fixed braces. The alignment system features virtually invisible plastic splints that gently—but effectively—move a patient’s teeth to the desired position. Every nivellipso treatment case is based on a series of custom-made, removable splints made from biocompatible plastic. 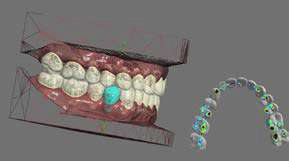 The "aligners" are transparent, removable, and anti-allergenic. They act gently and according to a precise treatment plan to move teeth to the intended position. This easy-to-use treatment method can be seamlessly integrated into any daily routine. Initially, a computer-aided 3D treatment plan is prepared to ensure the ideal course of treatment. 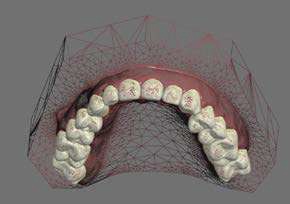 Your practitioner and nivellipso’s planning experts work closely to ensure that your custom-made aligners are the perfect fit and that your teeth move to the proper position within the calculated treatment period, resulting in a reliable treatment option that is based on state-of-the-art technology. 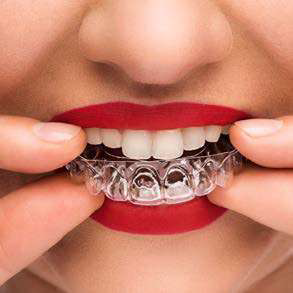 nivellipso aligners are made of high-grade, biocompatible polymers that retain maximum transparency during processing, providing a discreet and aesthetic solution. According to patients, nivellipso aligners are less visible than comparable treatment methods. Former SLA 3D printing: Some of the molds would break due to their poor mechanical properties and high anisotropy on the Z axis. HP 3D MJF: No molds have broken during the overall production, which makes production easier to manage and saves extra time. The molds are exposed to working temperatures of 150ºC to 160ºC. The HP MJF molds work consistently well throughout the thermoforming process, and there have been no temperature issues.